I felt proud, privileged and honoured to represent Zoroastrians at the World Peace Mala, held in Cardiff on 20th July 2017. The meticulous organisation, the interesting programme, the effort made to involve as many faiths as possible and the hospitality at this event left all attendees very impressed. The founder of Peace Mala, Pam Evans, and her colleagues are to be congratulated on this initiative, which seeks to bring faiths together and foster harmony, based on a culture of respect and understanding. The involvement of young people – the adults of tomorrow is one of the most laudable features of Peace Mala. Mehru Fitter is a member of Zoroastrian Trust Funds of Europe and Zoroastrian Member of Coventry Multi-Faith Forum. Kenya born, Mehru Fitter taught in secondary schools in Kenya for 16 years. Mehru migrated to UK in 1978. After qualifying as a librarian, she started her library career in Southampton. In search of a fresh challenge, Mehru moved to Coventry, where she managed Coventry City Council’s Multicultural Library and Information Services. 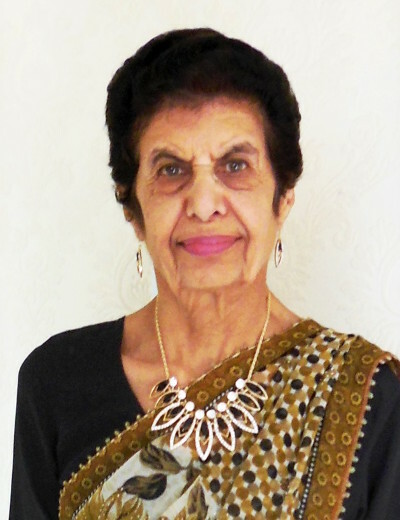 During her 22 years’ service, she collected 2 awards - the British Library Association’s Centenary Medal and an MBE. Outside work, Mehru has been a school governor, the Secretary of Coventry Women’s Festival and a member of Coventry Arts Mela. In her retirement, Mehru channels a lot of her energy and time into Positive Images Festival, serving as its secretary. In 2013, this festival won Coventry City Council’s Community Cohesion Award. And in 2016, it was the proud recipient of the Queen’s Award for Voluntary Service. Mehru is also the Zoroastrian member of Coventry Multi-Faith Forum, which creates greater awareness of faith diversity in and around Coventry. Mehru represented the Zoroastrian Trust Funds of Europe at the Peace Mala in Cardiff in 2017. Her verdict - "A perfect event in a perfect setting, with the perfect message of peace and goodwill." Proud of her city, Mehru is eagerly looking forward to 2021, when Coventry begins its reign as the UK City of Culture.